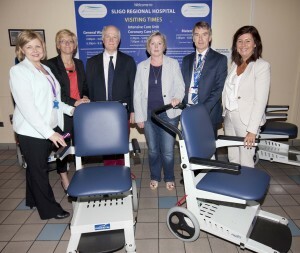 To provide medical equipment, facilities, services and patient comforts in the Hospital which would not otherwise be available from ordinary HSE funds. To enable the structured targeting of monies raised by fundraising initiatives in the community to those services in most need and yield greatest benefits. Friends of Sligo University Hospital recently established the Easy to Hire Wheelchair scheme at the front of the Hospital.These have greatly enhanced the accessibility for patients using the hospital facilities together with the volunteer scheme.FoSUH continue to innovate and deliver projects that are for the benefit of the hospital users and patients. . Watch this space as our plans unfold in 2018.